Conflict between parents can place stress on their relationship with the child. This publication offers strategies to reduce the negative “spillover” of this conflict to the child. This is No. 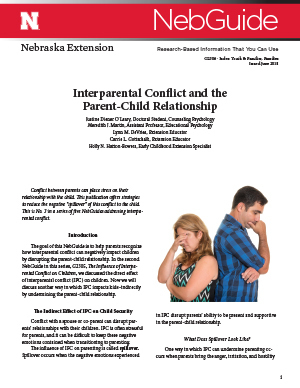 3 in a series of five Neb Guides addressing interparental conflict.